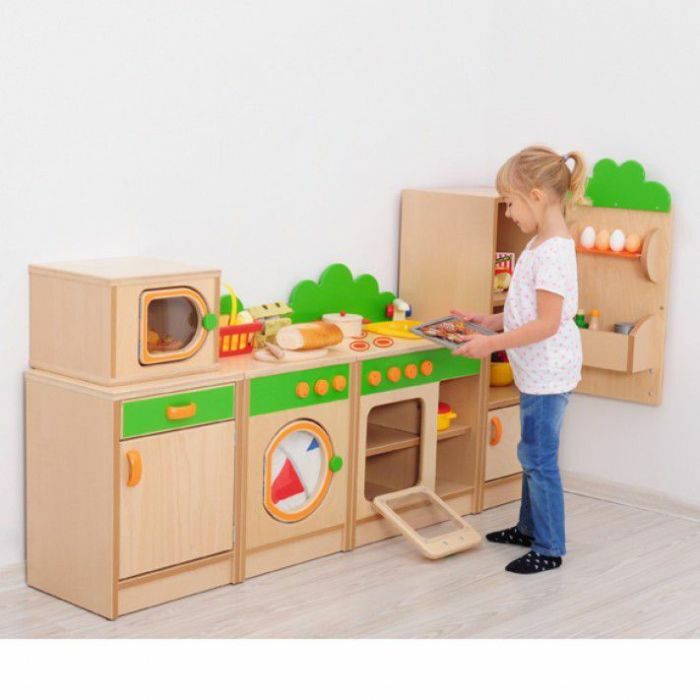 This premium kitchen cupboard and stove unit is part of a kitchen and utility range suitable for pre-school and primary school children. Introduce children to the realities of modern living in a safe environment through role play. 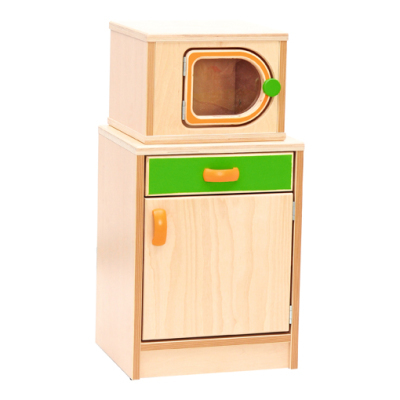 The unit is supplied flat pack and can be easily assembled. Made from a combination of laminated board, varnished MDF and durable plywood. The cupboard measures 510mm x 380mm x 320mm and microwave measuring 320mm x 300mm x 320mm. Suitable for children aged 3+.